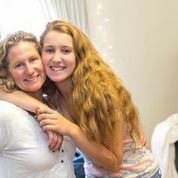 We met many parents during Student Move In this fall who are themselves Michigan alumni. And others who were visiting Ann Arbor for the first time, but already decked out in Wolverine gear! Whether your family is new to campus, or a multi-generational Wolverine household, we think you'll enjoy this Alumni Association video. It was made by Michigan students for the whole Michigan family!